MODESTO, Calif. Aug. 6, 2014—5.11 Tactical®—global innovator of tactical apparel—announced 10 new additions to its product line. Unveiled in the company’s Fall/Winter 2014 catalog, the new products offer a head-to-toe outerwear solution for enhanced performance during a variety of duty- and adventure-driven activities. 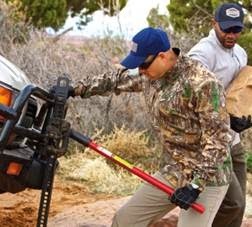 Consistent with 5.11 Tactical’s approach to innovation and product development, operator input and feedback was incorporated into the design and testing process behind each new piece. To find a store where products can be purchased, use the 5.11 Tactical store locator. For more details on 5.11 Tactical’s product offerings, view the Fall/Winter 2014 Catalog.